La prima data di arrivo è 05/11/2019 se l'ordine è stato inserito OGGI. The dress is fine, its price is low, its chiffon fabric is so comfortable, and the high-low dress maybe specially customer for the tiny person, really sweet look, anyone who wears it will agree me with that!!! V Quick delivery and Item packaged well and all arrived as expected. whene i looked for a wedding dress i wanted a simple beautiful dress and whene i so this one i knew immediately this is the one! 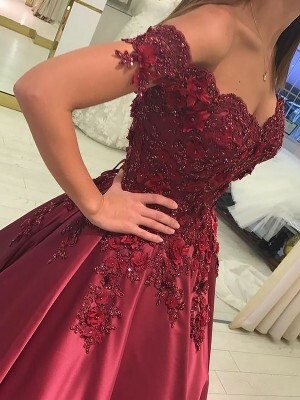 and the fair price was more then i could ask for so i ordered this dress and it was exactly how i imagined it will be.it came right on time and in the exect measures. the fabric, the sewing and the service were all outstanding!! 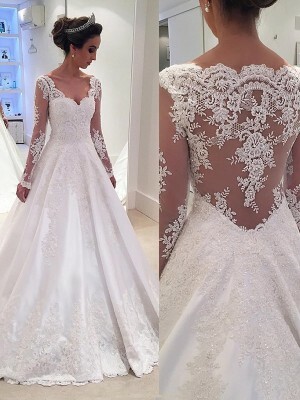 The dress is absolutely stunning and is so well made. Definitely worth the money and more. I cannot wait to wear it to my Leavers Ball (and hopefully to many more occasions in the future!) Thank you so much. I ordered this dress two weeks ago and it arrived within two weeks. It fit perfect! I love it and think its so beautiful and so me! I will give some advice for people who are looking to order it! After reading some other peoples reviews, I was a little hesitant on ordering the right size. I ended up ordering a size up and it fit perfect! It's always better to order a bigger size so it can be taken in! Så fin klänning! Finare än på bilden! It is really stylish yet comfortable enough to wear, i am definitely pleased with it!